Meet the Home that’s Not Just a Stunner but Also an Architectural Prize! 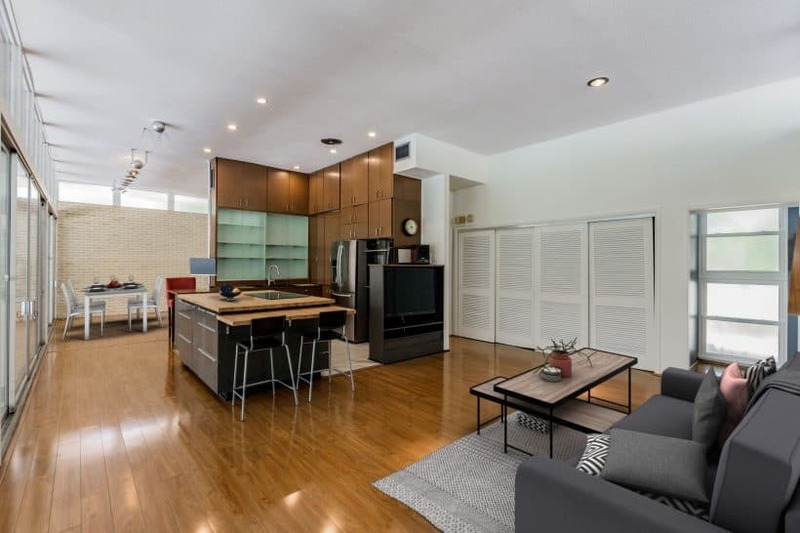 I’m always excited to have a new listing, but this one especially gets my blood going. Two reasons: It’s a classic mid-century modern, a personal style favorite of mine, and it’s also a house with a pedigree. 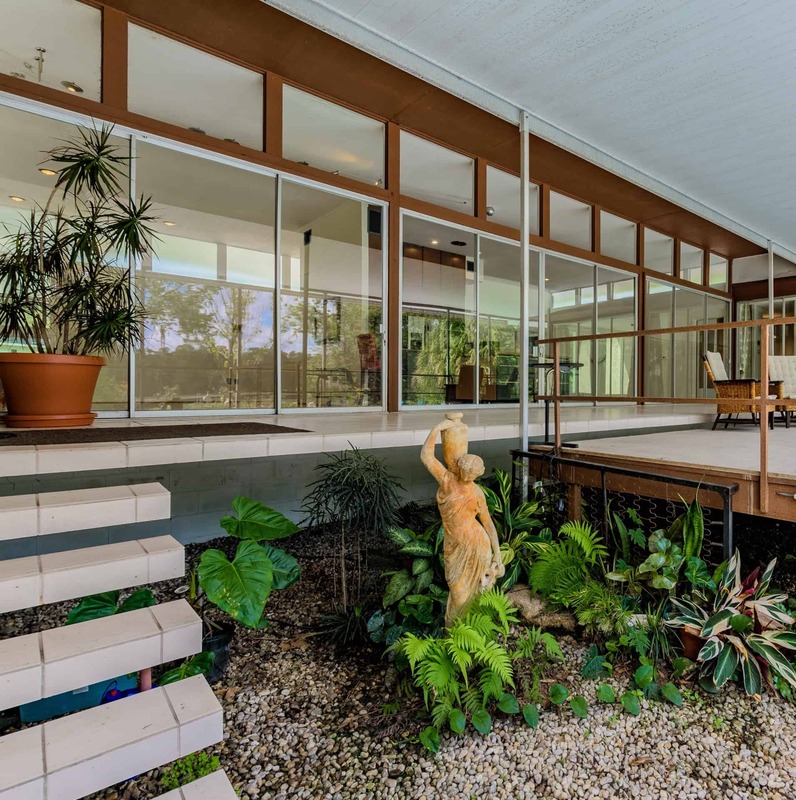 The Puritan Road residence is a (rare in Tampa) Frank DePasquale home – more about this fascinating, accomplished architect later. But first, the house is possessed of more than half a dozen elements guaranteed to take your breath away. 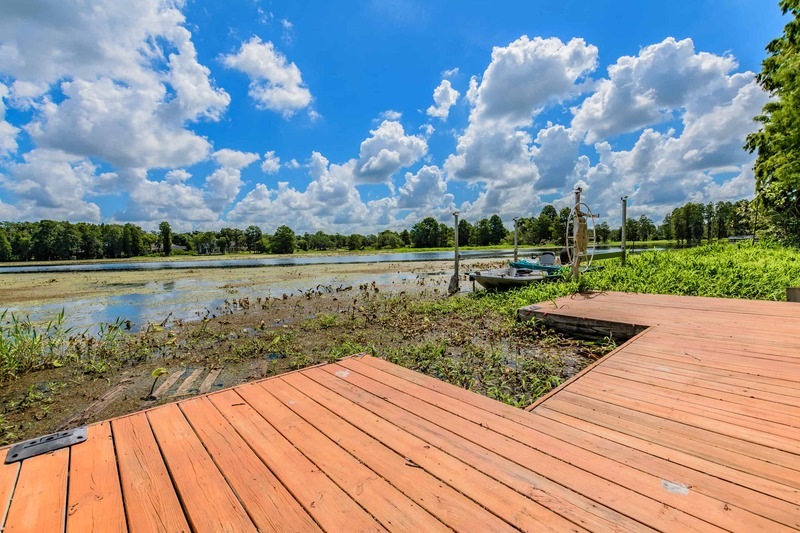 Its location – situated on the widest part of the Hillsborough River – cannot be replicated. 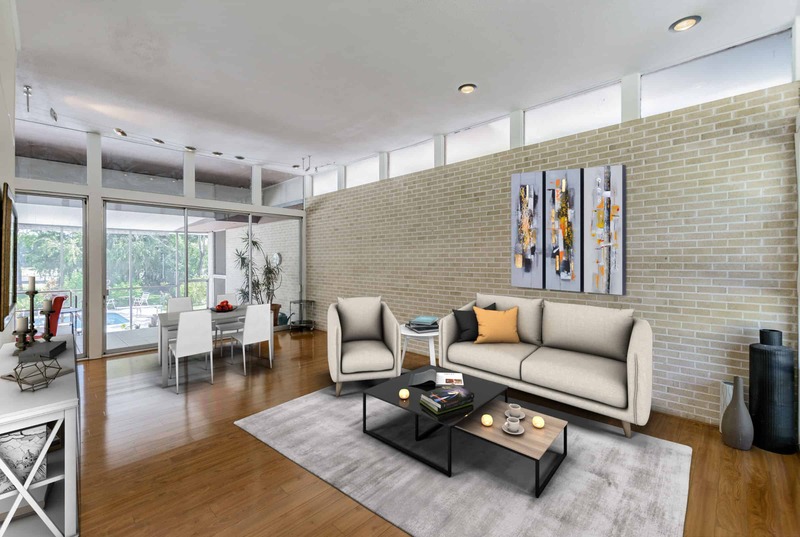 As in the iconic works of Frank Lloyd Wright, an architect who greatly influenced DePasquale, the home’s placement creates the illusion that the structure sprang up organically. 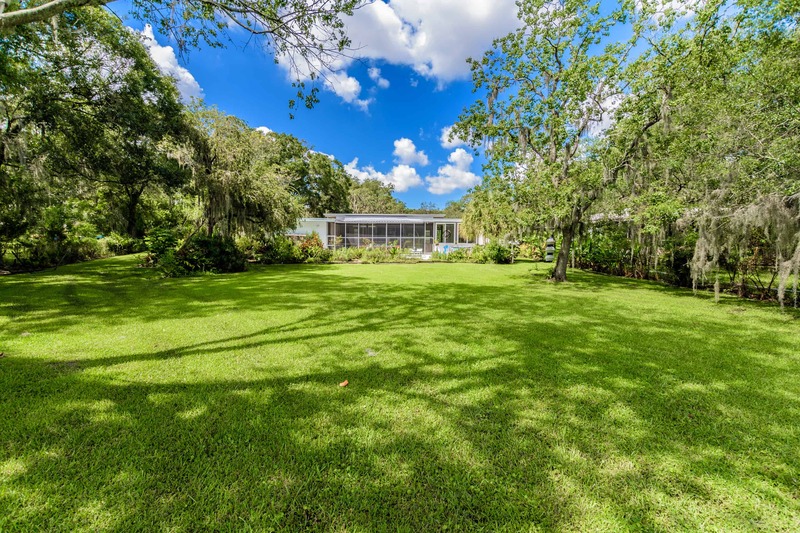 Like many of DePasquale’s homes both in Tampa and in Durham, North Carolina, where he became a local celebrity in his later years, the structure appears to be an inevitable part of the landscape. The waterfront location is a launching point for the nine-mile cruise to one of the crown-jewel parks in the region, Lettuce Lake. Many islands can be spotted along the way, complete with osprey-nest-topped trees. Conveniently, a new wooden dock with lift can accommodate a 20-foot boat. A concrete boat carport with 20 foot ceilings makes protected storage a snap. And one more word about the location: Striking cloud-filled skies on sunny days and the occasional late-afternoon dramatic, electric thunderstorm are spectacular to behold from this river vantage point. 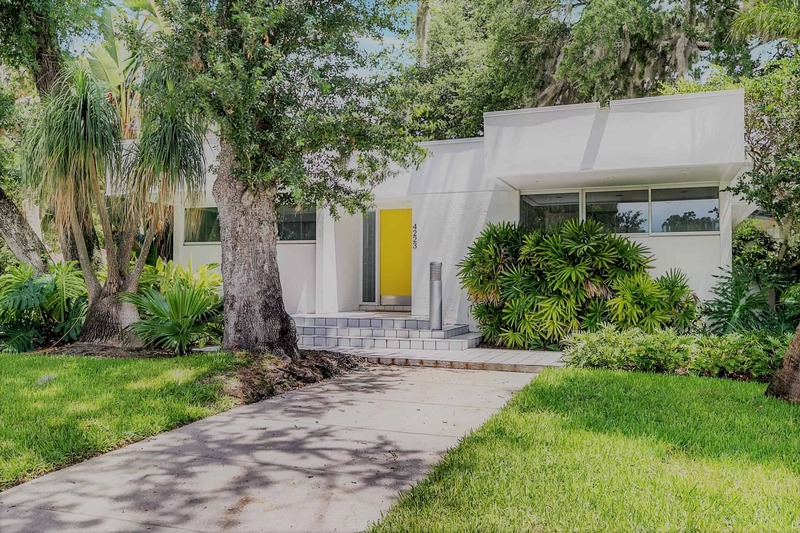 If you’re not already sold on the mid-century style, let me share a few aspects that always win my heart. 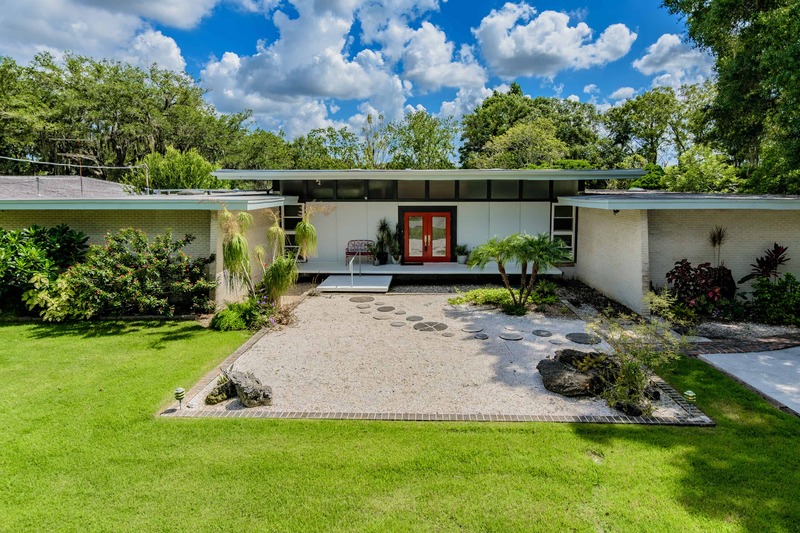 Architects in the mid-century modern tradition were breaking new ground in their time. (This three-bedroom, two-bath home was built in 1961.) A primary pleasure of living in a mid-century home is the way the separation between indoor and outdoor space is made all but invisible. 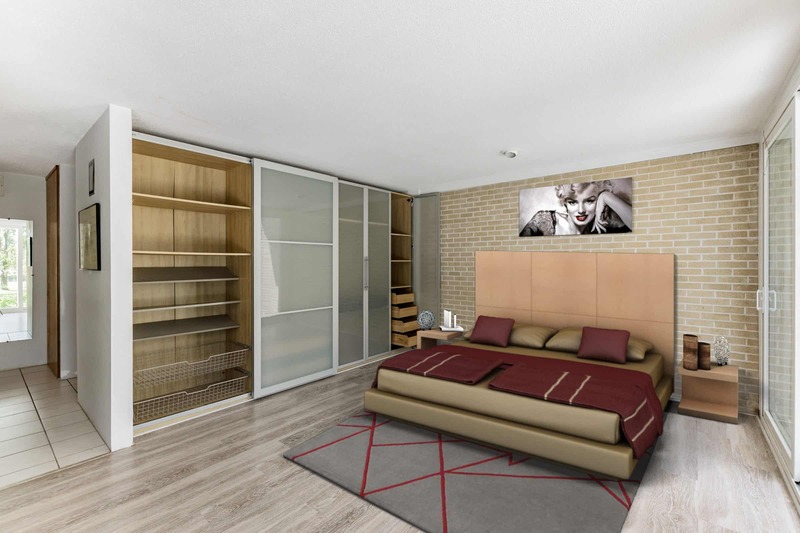 The feat is achieved through the generous use of glass and floor-to-ceiling windows and sliders. The indoor-outdoor meld plays out in this house, which contains 4,200 square feet under roof, via a raised, covered patio and a giant wall of glass sliders that creates a river-view lookout area from the family and living rooms as well as the kitchen. 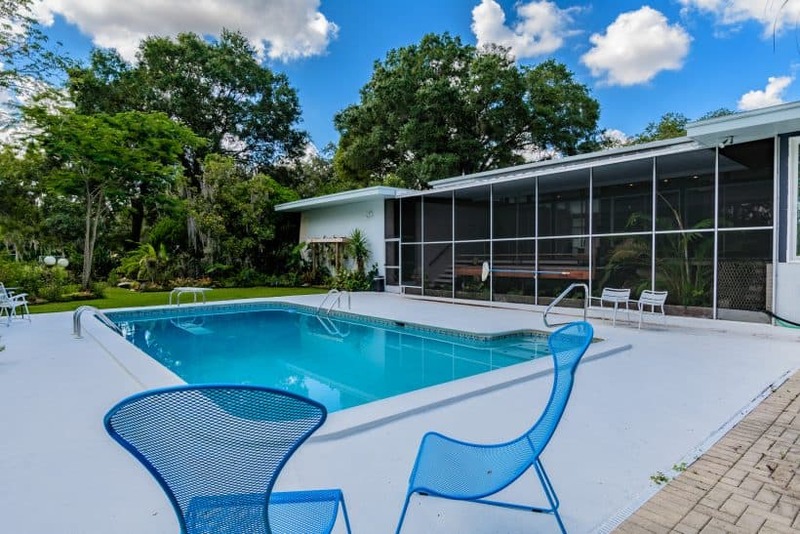 The master bedroom, too, offers floor-to-ceiling views of the backyard, pool and Hillsborough River on two separate walls. Did you notice catch the mention of a pool? It offers a striking sweep of curved corners and blue shimmering water in contrast with the right angles and clean straight lines of the home’s design. An ample expanse of pool deck could be the scene of Gatsbyesque parties where the main conversation draw could be the house itself! Even the steps leading to the back patio create a touch of drama and also signal another tipoff to the mid-century design: lavish use of organic materials, including block, brick, stucco and wood. Incidentally, much of the home’s original, phenomenal design was left intact by homeowners who appreciated the structure’s many well-thought-out details. A WWII vet and graduate of NCSU School or Architecture and Engineering in the Raleigh-Durham area, DePasquale came to Tampa at the behest of an architect formerly from Durham, Leslie Walker. 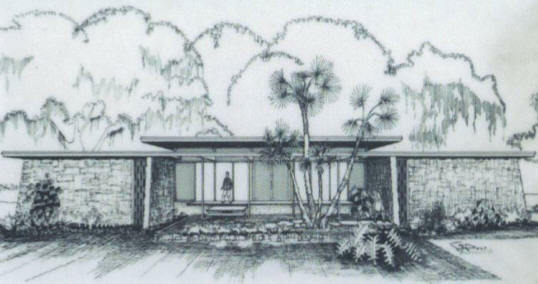 After Walker’s firm dissolved, DePasquale established a solo practice in Tampa. But during a recession in late 1962 DePasquale was confronted with a drying up of projects. He returned to Durham, where he became a leading architect, making his mark by designing homes, schools and churches. His award-winning structures in Durham include the Durham Arts Council building and the Hayti Heritage Center. He helped create the Historic District Commission in Durham city government. 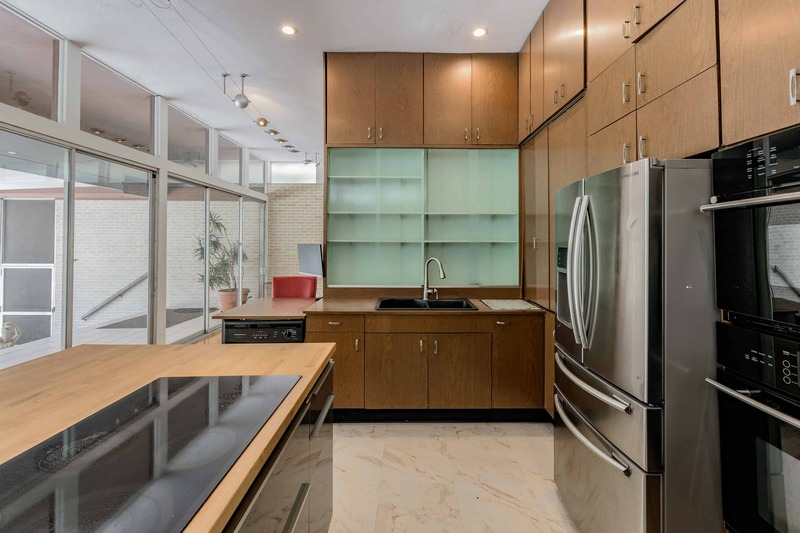 In addition to its classic mid-century modern appeal, this home is unique. You’ll notice that the square feet of heated space is listed at 2,012, but there is more than 4,000 square feet of space under roof. That’s in part because there’s a large bonus room with an AC unit and electricity that could be an artist’s studio or a man- or femme-cave. Other assets worth mentioning are the whole-house water-treatment system, remodeled kitchen, upgraded electrical panel, hurricane-rated garage door and 11-foot ceilings throughout (and in some places the ceiling measures 15 feet). A new well pump and pool pump mean never having to pay for water. The oversized two-car garage with workshop area has extra storage, with no deed restrictions to hamper your style. The home’s front sports a unique cantilevered porch that jets out from the bottom of the house suspended in air. The lot measures more than half an acre. What’s not to love in this fabulous, lifestyle-enhancing, historic home with a list price of $425,000? In truth, multiple offers wouldn’t surprise me. If you’re interested, you know where you find me! Rae helped us find a second home in Florida. She was very professional and informative. We are very happy with the final result. We have also made a new friend. We will definitely use her again when we finally get to relocate.